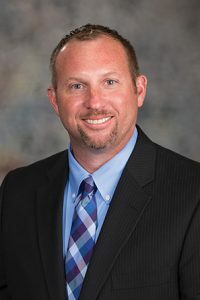 A bill intended to improve legislative performance audits of the state’s tax incentive programs was advanced to select file Feb. 6. LB936, introduced by the Legislative Performance Audit Committee, would make a number of changes to the Legislative Performance Audit Act. The act requires the Legislative Audit Office to conduct performance audits that review state agency programs in order to evaluate the agency’s success in effectively implementing legislative intent. Heartwell Sen. John Kuehn, chairperson of the committee, said the bill’s recommendations are the result of the first three tax incentive audits undertaken by the Performance Audit Office. There is a steep learning curve associated with the process, he said, and the office will not be able to conduct audits on the remaining tax incentive programs this year. As a result, he said, the bill would extend from three to five the number of years between audit reviews of tax incentive programs. Kuehn said the change would be in line with the requirements of other state’s evaluation schedules. In addition, the bill would require that audits analyze whether job growth in businesses receiving tax incentives is at least 10 percent above industry averages, and the cost per full-time worker. The bill also adds definitions in order to develop the most effective evaluation of how the programs are being implemented, Kuehn said. 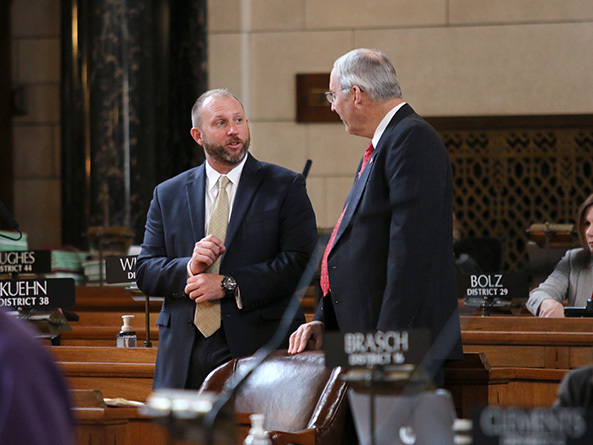 “This bill is designed to help the Legislature get better information about tax incentive evaluations and encourage members to provide their input and opinions on the matter,” he said. Henderson Sen. Curt Friesen spoke in support of the bill. Several of the state’s incentive programs do not work the way they were intended, he said, and the state is losing revenue while incentivizing low-wage jobs. “We have created a whole [system] of tax credits and programs out there and our ability to monitor whether they are doing what they are meant to accomplish—we have no idea,” Friesen said. Lincoln Sen. Kate Bolz praised the committee’s work, but said the bill’s wage evaluation level is too low. The state invests $270 million in tax incentive programs, she said, yet is incentivizing jobs that cannot support a family. The family-supporting wage in Lancaster County for a family of four is $52,157 per year, she said, but the state incentivizes jobs through these programs that pay as low as $26,000. Sen. Sue Crawford of Bellevue also expressed reservations about the definition of high-quality jobs in LB936, but noted that the bill addresses the current evaluation standards for tax incentive programs and not actual program qualification requirements. The state’s economic development task force has identified strengthening the definition of incentives as an important priority for both qualification and evaluation in the future, she said. The bill advanced to select file on a 43-2 vote.